Sheryl Roush and contributors to the Heart of a Woman, Heart of a Mother, Heart of the Holidays and brand new Corazón de Mujer books will be autographing copies on Saturday, May 10 from 3:00-6:00pm at BORDERS bookstore in Eastlake of Chula Vista, San Diego, California. More than a book signing, contributors will READ THEIR original STORY or POEM to shoppers! Contributors present will include: Maria Carter, Dharlene Fahl-Brittian, Cassandra Northington (Oklahoma), Consuelo Sanchez, Elisa Castaneda, Eln Albert, and Sheryl’s mother Beverly Roush, joining series originator Sheryl Roush from San Diego. The group will be celebrating Mother’s Day with dinner locally following the book signing event. COME MEET THESE AUTHORS and have your books personally autographed! Perfect for Mother’s Day gifts! Sheryl Roush will be presenting "The Heart of a Mother" the keynote program for the annual Mother-Daughter Luncheon at the University Christian Church in San Diego, California on Saturday, May 10 from 11:00am-2:00pm. Sheryl is a native San Diegan, yet an internationally recognized top-rated speaker in nine countries around the globe. President of Sparkle Presentations, Inc., she is an 11-time published author, with her series including: Heart of a Mother, Heart of a Woman (in English and Spanish), Heart of the Holidays (Yuletide traditions), and Sparkle-Tudes!™ quotations and scriptures for women. Copies of the books listed here will be available for purchase at a special reduced price at the event. Following her program she will be signing copies of Heart of a Woman, Heart of a Mother, Heart of the Holidays and brand new Corazón de Mujer for attendees, before a multi-author book signing event at BORDERS bookstore in Eastlake, Chula Vista. Contributors present for book signing include: Maria Carter, author of Falling In Love With Your Life; and Laura Rubinstein, author of Transform Your Body and the Feminine Power Cards, and Founder of Women in Joy. For information and reservations to attend the Luncheon, contact Sharon McHenry, at (619) 284-4034. Tickets are $6.00 including program. Luncheon served by the MEN at Noon. Program 1:00-1:30pm, with book signing following. Sheryl Roush and contributors to the Heart of a Woman, Heart of a Mother, Heart of the Holidays and brand new Corazón de Mujer books will be autographing copies on Friday, May 9 from 6:00-8:00pm at BORDERS bookstore in Brea, Orange County, Los Angeles, California. More than a book signing, contributors will READ THEIR original STORY or POEM to shoppers! Contributors present will include: Adria Manary, author of Mommy Magic and More Mommy Magic; Maria Carter, author of Fall in Love with Your Life; Seth Sherwood, author of Trains Make U-Turns; Becky Palmer, Sandra Nash, mother and daughter authors Janie Cruise and Rita Lanell de Los Reyes; all joining series originator Sheryl Roush from San Diego. between Associated Road and the 57 Freeway. Lynn Pierce, contributor to Heart of a Woman and the brand new Spanish translation release of Corazón de Mujer in the book series by Sheryl Roush, will be autographing copies on Monday, May 5, from 2:00-4:00pm at the BORDERS Superstition Springs Center in Mesa, Arizona. Lynn is a co-author of 5 books including the #1 Best Selling, Wake-up…Live the Life You Love. 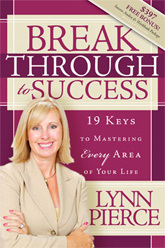 Her new book is Breakthrough to Success: 19 Keys to Mastering Every Area of Your Life. Marcia Reynolds loves to change people’s minds. Considered an expert on how the brain works, she travels around the world teaching classes in leadership and consulting on organizational change programs. Marcia is also a true pioneer in the coaching profession and a past president of the International Coach Federation (ICF). She was one of the first 100 people to earn the designation of Master Certified Coach (MCC) and was instrumental in designing the certification and accreditation programs for the ICF. Excerpts from her interviews and her book, Outsmart Your Brain, have appeared in Fortune Magazine, Investors Business Daily, Harvard Communications Newsletter, Cosmopolitan, Christian Science Monitor, Family Circle, American Way Magazine, The Los Angeles Times and The New York Times and she has appeared on ABC World News, National Public Radio, and Japan Nightly News. 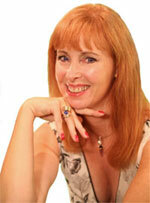 Marcia is an experienced keynote speaker, presenting at both corporate and association conferences. In 2004, she earned the designation of Certified Speaking Professional from the National Speakers Association. Marcia’s doctoral degree is in organizational psychology with a research emphasis on the personal factors that both hinder and help in the success of high-achieving women in today’s corporations. Featured at BORDERS Glendale on Sunday, May 4, from 4:00-6:00pm, Marcia will be signing copies of the books Heart of a Woman, Heart of a Mother, Heart of the Holidays and brand new Corazón de Mujer with Sheryl Roush, along with Outsmart Your Brain. Located at the northeast corner of Bell Road and 75th Avenue in Glendale, next to Toys R Us and Sports Authority. Sheryl Roush professional speaker and author of the series including Heart of a Woman, Heart of a Mother, Heart of the Holidays and brand new Corazón de Mujer books will be autographing copies on Monday, May 5 from 2:00-4:00pm at BORDERS in Superstition Springs. business into your life rather than the other way around. Sheryl Roush , professional speaker, will be autographing copies of her series books including Heart of a Woman, Heart of a Mother, Heart of the Holidays and brand new Corazón de Mujer on Friday, May 4 from 4:00-6:00pm at BORDERS bookstore at 73rd and West Bell. Joining Sheryl is National Speakers Association colleague and Phoenix resident Marcia Reynolds, PsyD, contributing author to Corazón de Mujer, Heart of a Woman, and Heart of the Holidays. 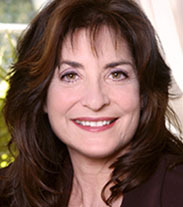 Author of Outsmart Your Brain, excerpts from her interviews and her book have appeared in Fortune Magazine, Investors Business Daily, Harvard Communications Newsletter, Cosmopolitan, Christian Science Monitor, Family Circle, American Way Magazine, The Los Angeles Times and The New York Times and she has appeared on ABC World News, National Public Radio, and Japan Nightly News. Sheryl Roush and contributors to the Heart of a Woman, Heart of a Mother, Heart of the Holidays and brand new Corazón de Mujer books will be autographing copies on Saturday, May 3 from 1:00-3:00pm at BORDERS bookstore at 6510 Canoga Avenue in Canoga Park. More than a book signing, contributors will READ THEIR original STORY or POEM to shoppers! Contributors present will include: Adria Manary, Becky Palmer, Janie Cruise and daughter author Rita Lanell De Los Reyes, Linda Salazar, Marcy Decato, Renee Carter, Seth Sherwood and Tina Rubin joining series originator Sheryl Roush.